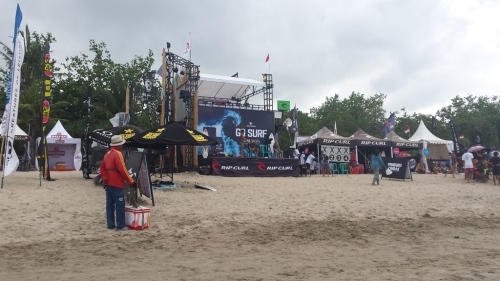 One of the most exciting events of the year for the surfing community in Bali (including tourist surfers) is the Kuta Beach Festival when they have the Rip Curl surfing championships. Unfortunately they have to make do with what the weather and the waves offer and some years the surf is not the best. This year turned out to be one of those, the surfs were tiny compared to what they usually are. But, the show must go on so the fun begins!! I took this video on the Friday leading up to the festival weekend, the weather was a bit gloomy but still nice and warm. This one I took on the following day when the Rip Curl Surfing competion was underway. Disappointing surfing as the waves just didnt want to co-operate. Probably the dullest bunch of photos I took of this vacation, but it was a fun couple of days on the beach for me. the water was very calm, the beach was very clean and only a few people around the day before the festival weekend. 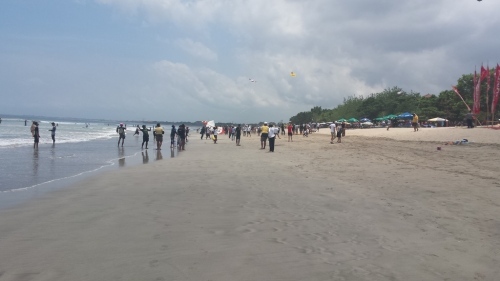 the first day of the festival (Saturday) and most people were here to participate or watch the kite flying competition and also the elimination heats of the Rip Curl Surfing Championships. the weather was proving to be very dull for this weekend, would have been great if it was a bit sunnier. Still, there was lots of things to see and to do, and although it doesnt look like it from these photos, it was quite an exciting day. 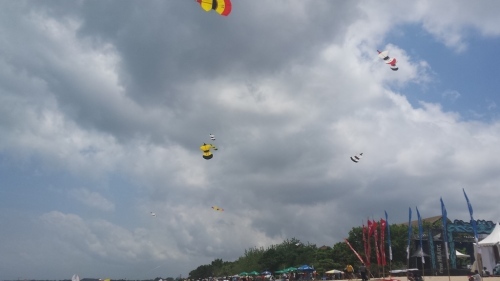 the kite flying competition was awesome, I have never seen such beautiful and HUGE kites and the effort it took to launch them up into the sky was hilarious!! still a beautifully stunning beach even in the gloomiest weather. This was a fun weekend, believe it or not!!! Good morning to you Bro Doc. I dont think it will make any difference because sometimes the surfs are really great and sometimes they're not. It depends on the weather, it depends on the tides and the winds. Also these events have to be planned months if not years in advance for all the promotions and the sponsorships and lord knows what else so they have to stick to whatever was planned. I guess it depends on the organizers but I really dont know Bro Doc. As I said, these things are organized way in advance to accommodate the season when tourists are more likely to attend, advertising and sponsorship, and being a tropical island there is never an accurate prediction of weather or when the volcano spews out ashes like it does at least once a year and never at the same time. 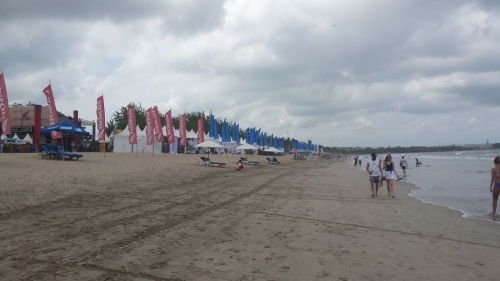 I've been here on previous occasions when the Kuta Festival was held at the same time but conditions were totally different. Beautiful surf, beautiful weather and they've been a huge success. It is easier I guess to predict the weather in Oregon but Bali is prone to so many different influences when it comes to weather and tides and environmental conditions such a currents caused by volcanic tremors in the oceans and typhoons happening thousands of miles away, volcanoes and earthquakes too. I would presume when the organizers first decided on which was the best month to do this, they specifically chose October to be the best month but I dont know what precisely they based that decision on. 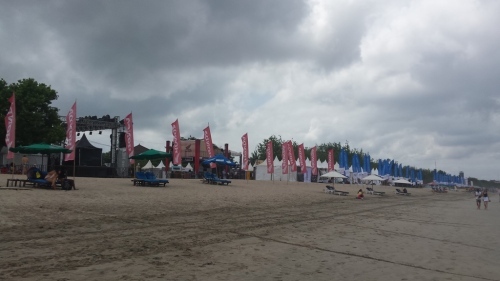 oh I see, okay well I dont see any reason why the planning that went into having the Kuta Beach Festival in October was not done with the best scenario because I was there around the same time the previous year (I always go for my birthday) and conditions were totally different. The weather is unpredictable anywhere in the world and a good time for such events is never guaranteed from one year to the next, that's all I am thinking Bro Doc. There are beaches in Bali where surfers from all around the world love to congregate during the high surfing season, some of the best surfing in the world!! I loved hearing the sounds of the waves in the videos. Boy I miss the beach. The waves did seem small but I'm sure people still enjoyed themselves. 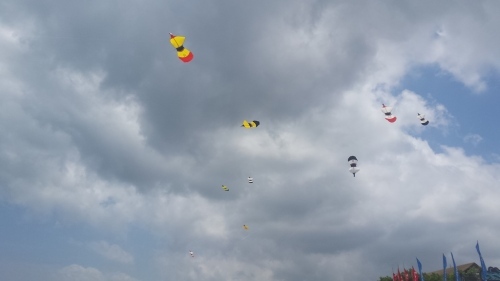 The kites were cool. I agree on the unpredictable weather in many places. Yes, that is very true-as long as people enjoyed themselves that's all that really matters. I would so love to see surfing competition though. Have only been able to watch on TV before. I love the beach/ocean & always want to be around water. But where we live I have to drive about 20-25 min. to get a lake. No Ocean for a long way away. :( Biggest body of water would be Erie (lake) which is about 1.5 hr. drive for me. I bet Bali is beautiful. From the photos I see it sure seems it. I love the ocean too and going to the beach is always one of my favorite summer things to do. There's something about the sea breezes and salty air that wafts in with the waves, it's very therapeutic I think. Loved it, the sounds, and seeing the sand, such a lot of beaches in pictures overseas the sand is rock, not my cup of tea. These photo's are just great. Great videos Maria. Although the weather was a bit dull it didn't seem to stop anyone enjoying the fun. l would probably prefer it that way because l am not into too much sun. I still like a nice golden tan but I am worried about my skin as I grow older, it is starting to show the effects of too much sun which I know I am going to regret. l never sunbathe. My skin is very fair so l would burn. l have always sat in the shade while my friends all turn a lovely golden brown lying in the sun lol.